I bought this dress a while back because I loved the print. It’s sort of floral in an abstract kinda way, which a not-too-flowery gal like myself really likes. 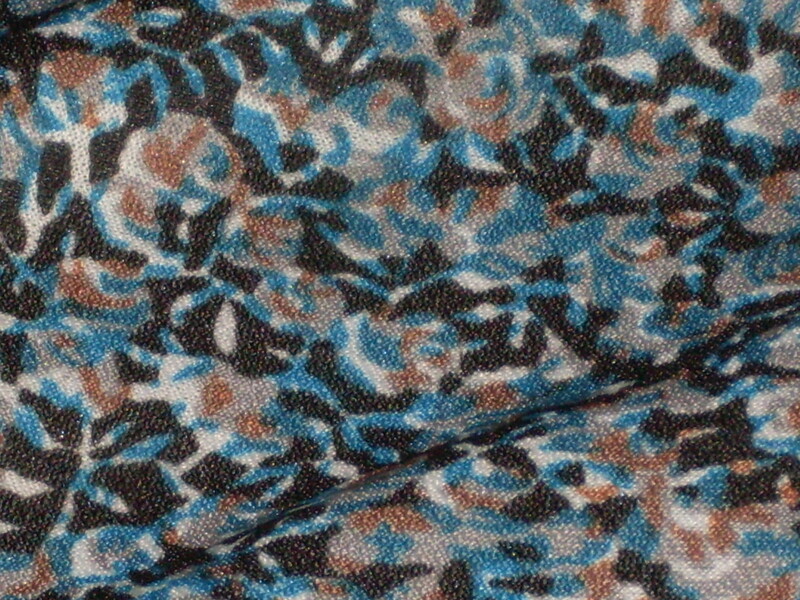 From far away, it looks like a floral print, but look at it up close! However…I had no idea what to do with the thing. 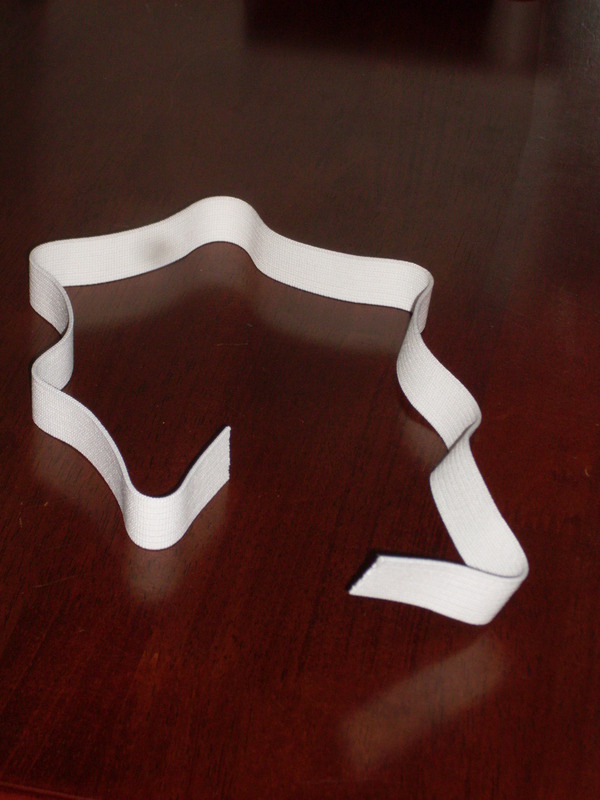 I thought of making it into a blousy top (sans collar)…but wasn’t so thrilled by the idea. 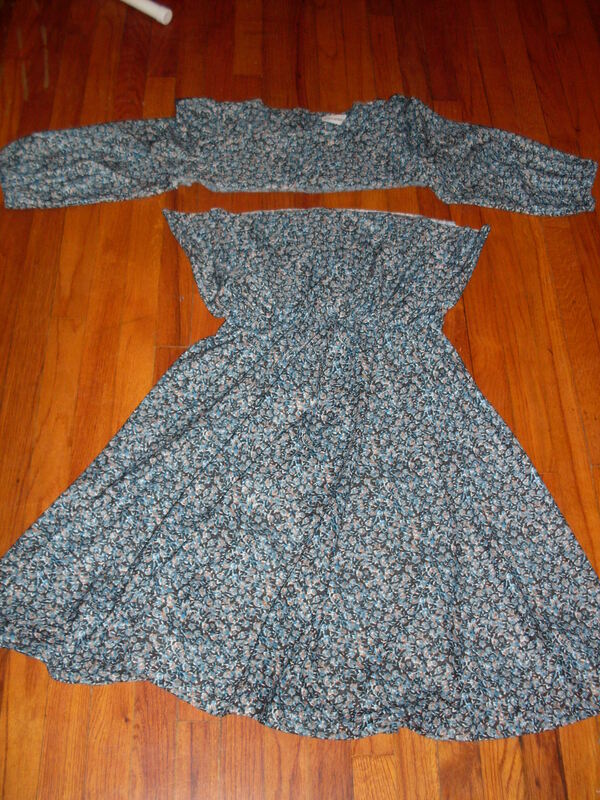 Finally, I decided to make it into a halter dress with an empire waist. 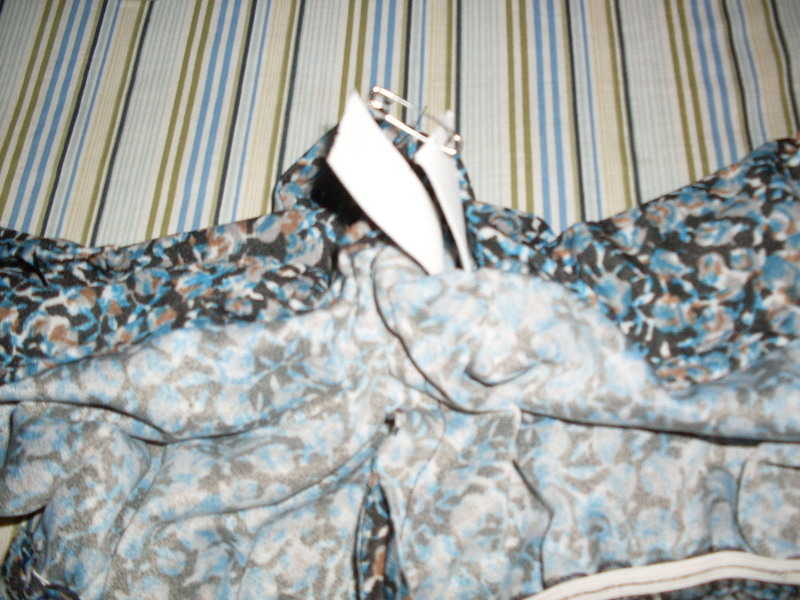 First off, I removed that ridonkulous lace collar. 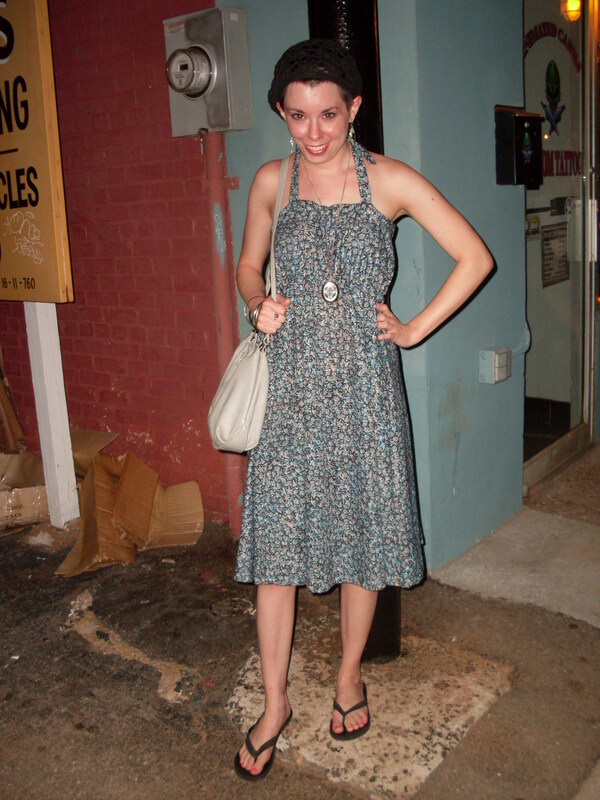 Then I hacked off the top of the dress right under the arms, like so. Optical Illusion Alert (OIA!)! It looks like a bat!!!!! 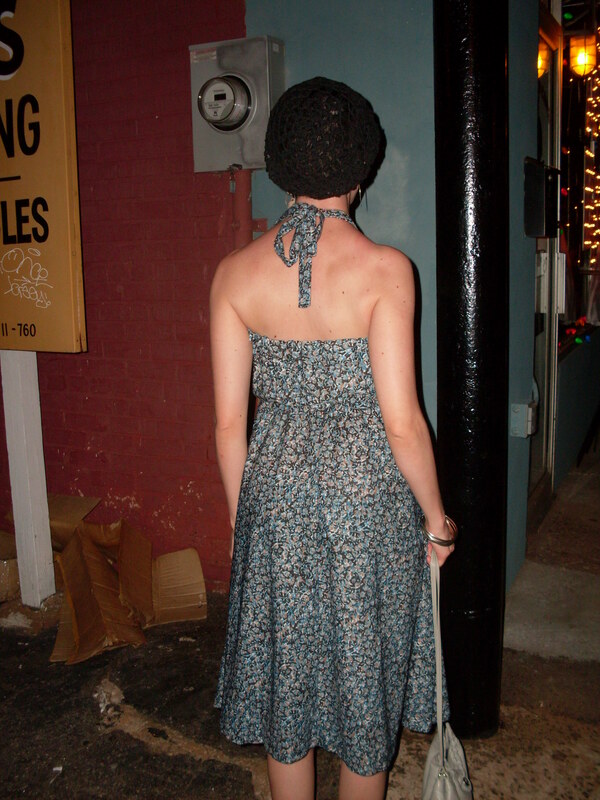 Next, I took in the top of the dress a couple inches on each side. 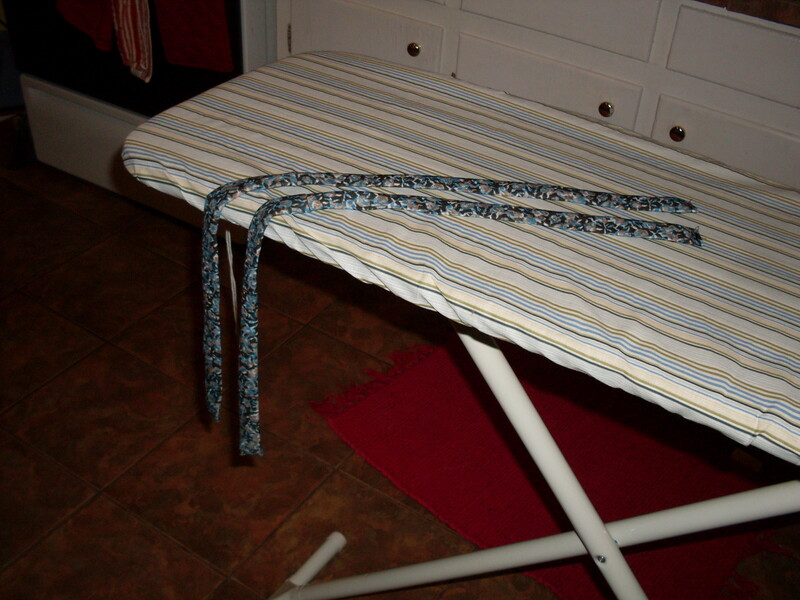 I didn’t need to make it fit me perfectly, as I was going to put elastic in the top to make sure it stayed up. Also, I wanted the top to be a little blousy. 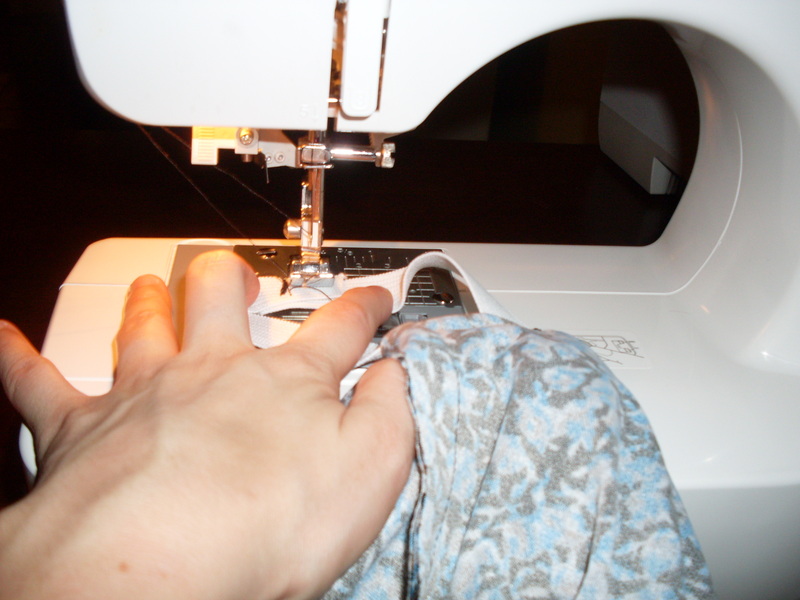 Chalk it, pin it, then sew it! 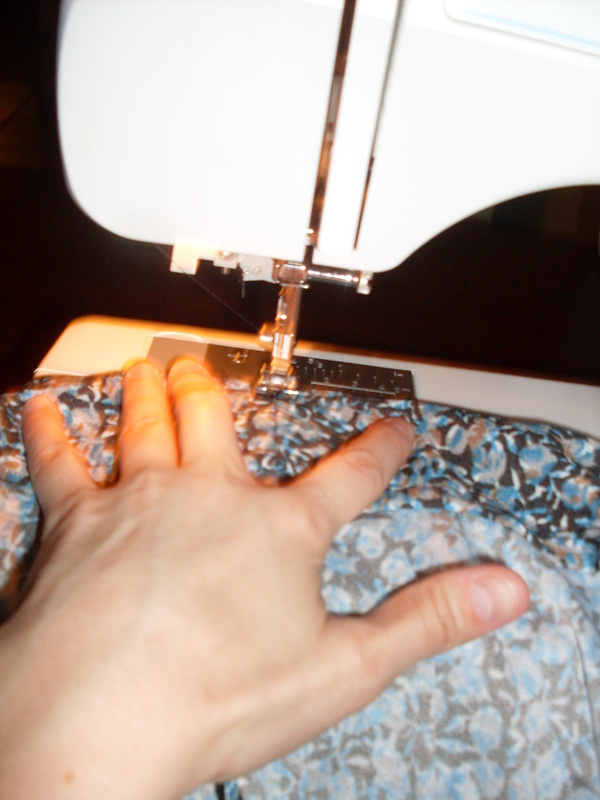 Once the sides were taken in, I folded over the top raw edge and sewed it down. The top wasn’t done yet. I needed to make a place for the elastic to go. I don't care, cuz I'm rocking elastic...and that's what makes my life so F#$^$$# fantastic. 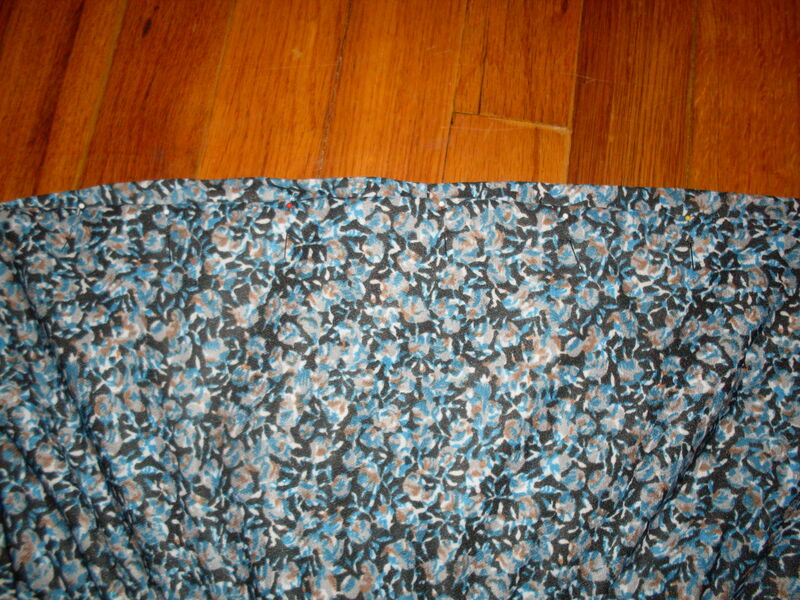 I sewed down the top of the dress again, leaving room for the 1″ elastic to go in. 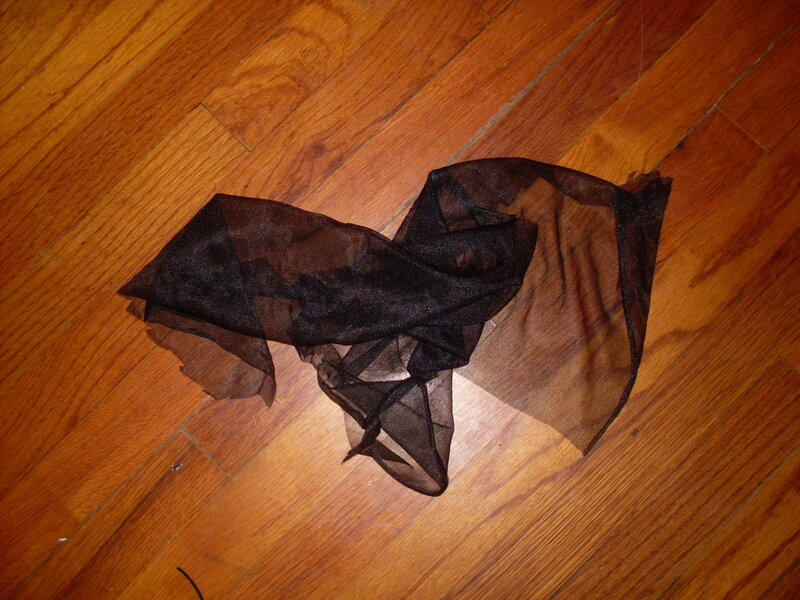 To measure exactly how much elastic I would need, I just wrapped my strip of elastic around the top of my favorite elastic-topped strapless top, and cut it so it would be the same length. Perfecto! 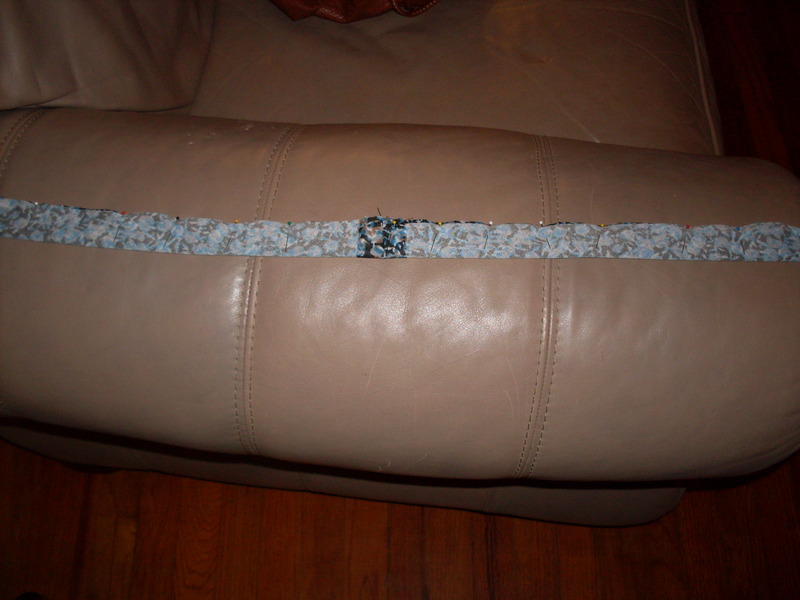 Next, I pinned the strips together with the inside part facing out. 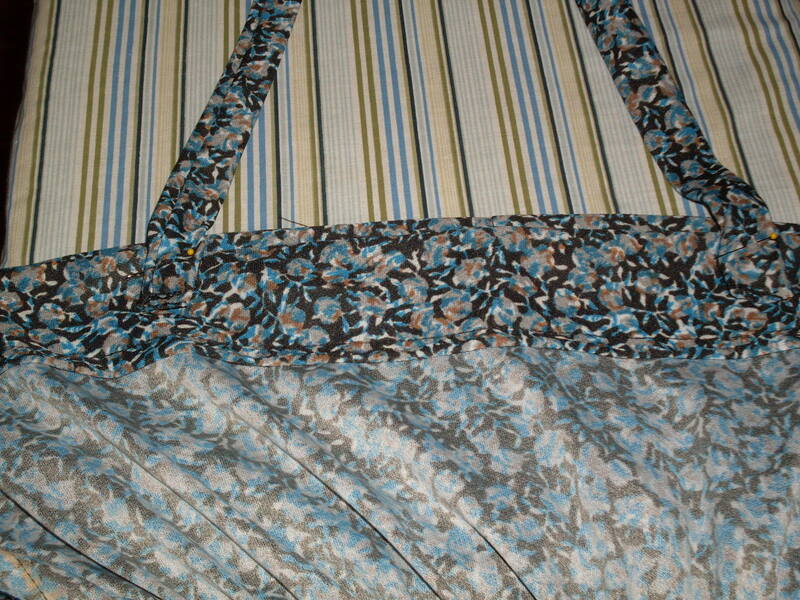 Then, I sewed along the edge of the strips (the pinned side). 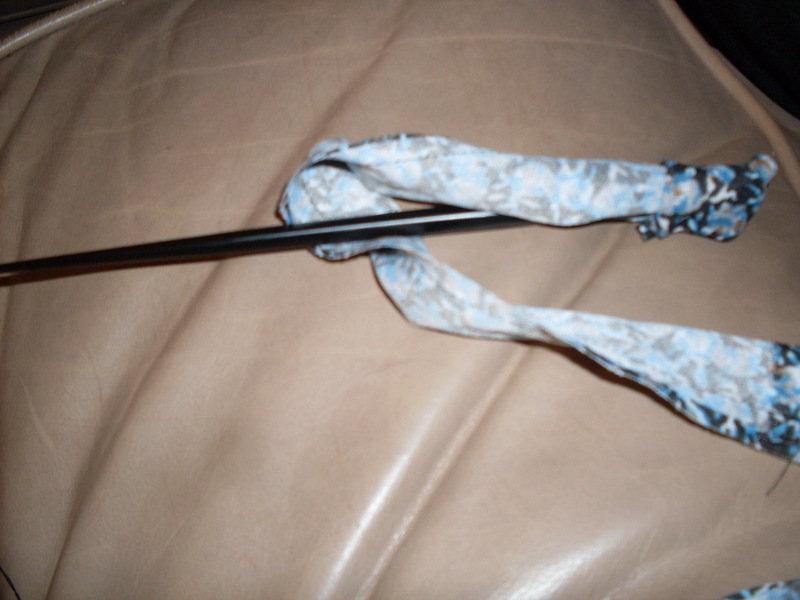 Then, I turned these tubes of fabric inside out (technically right side out) with the help of a chopstick. Chopsticks...not just for sushi anymore! Now that the pretty print was exposed and ready to be strappified, I tucked in a tad of the fabric on each end of the little fabric tubes and sewed those down (raw edges are gross…remember!). 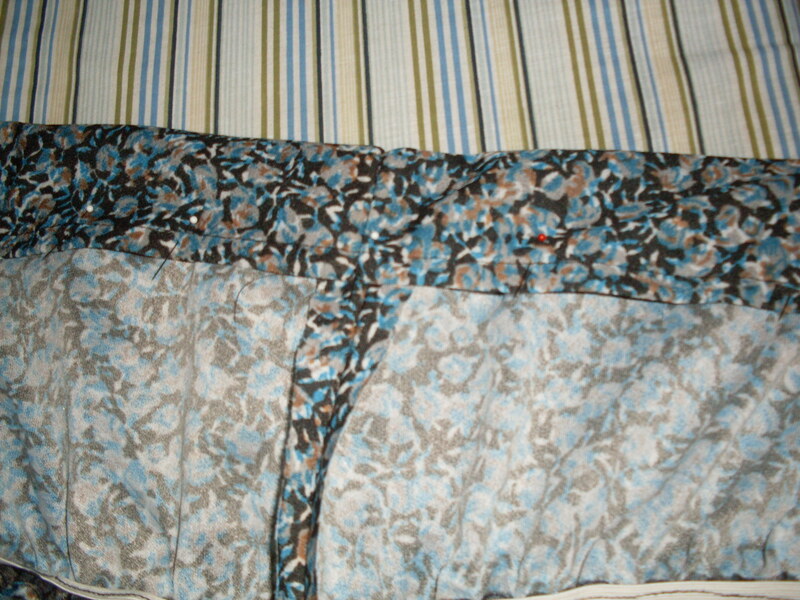 After pressing (just assume you need to press everything ya do) them to make them lie flat, I was ready to sew them on! 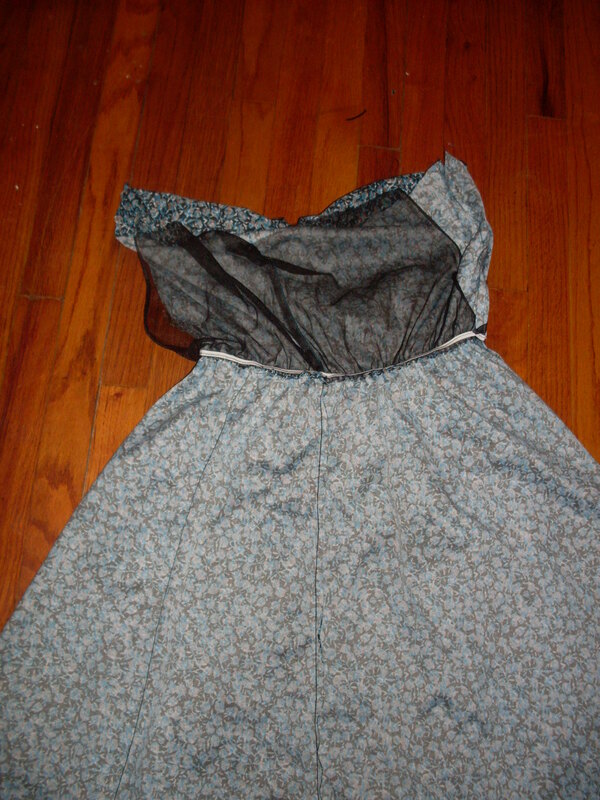 I pinned and then sewed the straps to the front of the dress. Woo hoo! Almost done y’all! Now I needed to thread the elastic into the top of the dress. 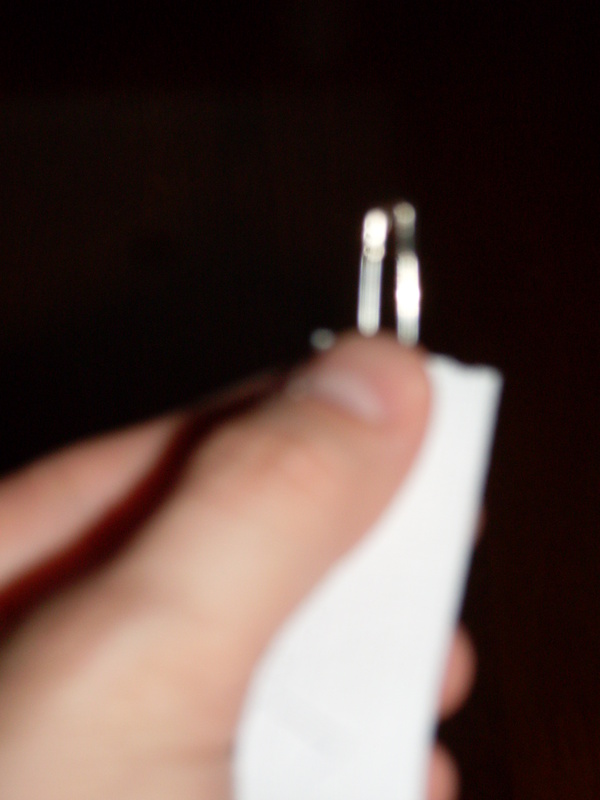 I attached a safety pin to one end, and worked it through the top, using the safety pin to guide it through. We’re soooooo close to being done here! 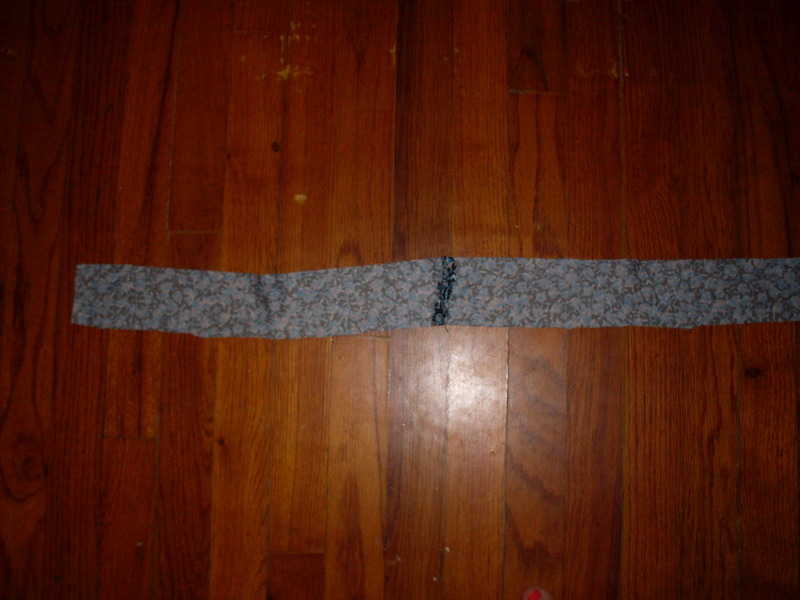 I sewed the ends of the elastic together a couple of times. 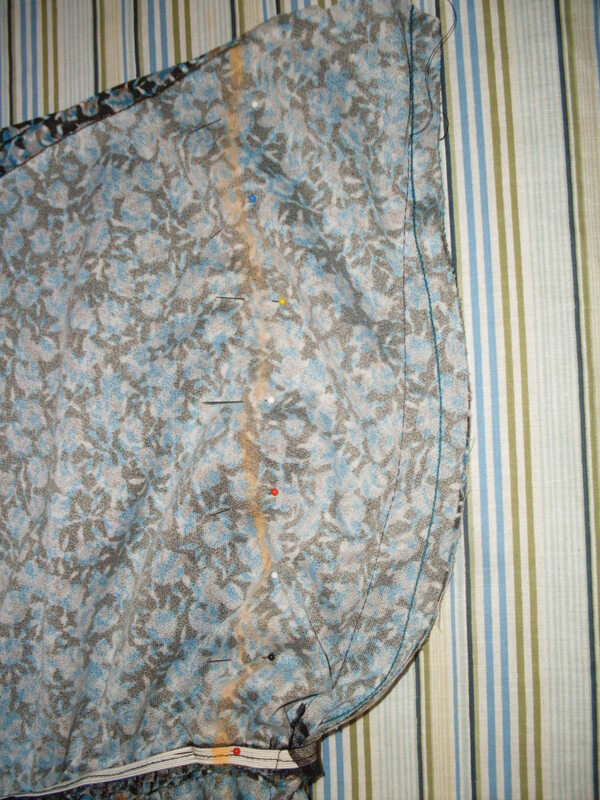 Then, I sewed the elastic to the back of the dress to make sure it didn’t do that annoying twisting thing elastic tops tend to try to do. securing that elastic so it won't do the twist! So….yeah….that was a lot of steps, but really easy steps. And I must say, I think the end result was well worth it! I felt so 1940’s in this dress! I wanted to jitterbug (which I have no idea how to do) or swing dance (once again…no clue). I had to settle for the rhythmless Elaine-ish dance that I seem to have mastered over the years. 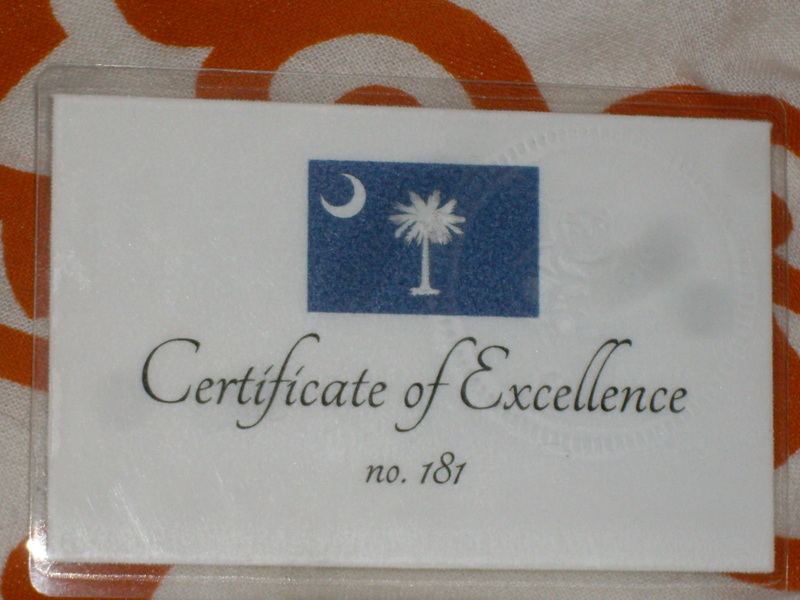 I will recirculate my certificate of excellence in due time…so do something excellent in my presence, won’t you? 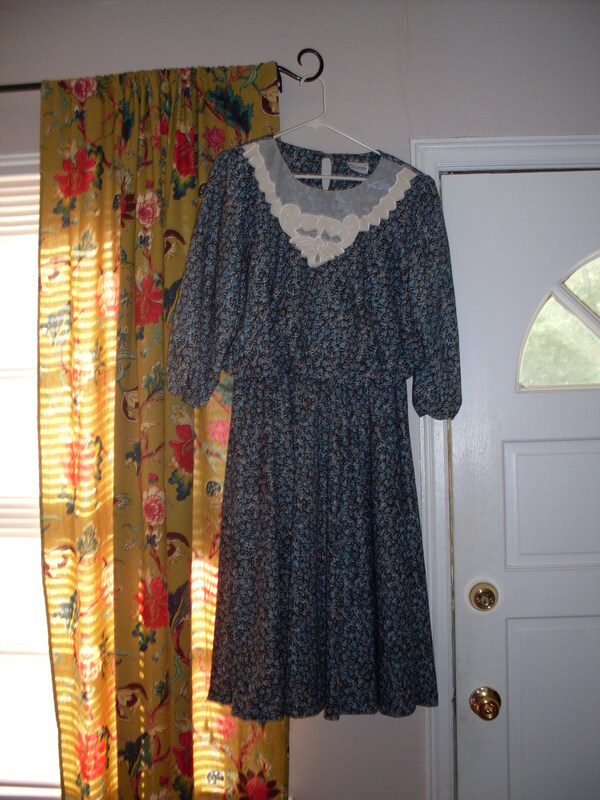 A Halter Dress with Vintage Flair! I gave you that certificate to recognize your excellence in general, not just for the beer! The beer was excellent, though. Thanks. Edith only comes out when I’m shortening a dress. It’s very odd.